There is no doubt about it, oversized clothing is making a comeback. With everything from t-shirts, hoodies and padded shoulders, this trend can be seen in all the major retailers and catwalks alike. With well-known brands such as Balenciaga getting involved in the oversized clothing trend, there has never been a better time to look good and feel comfortable. Toss away your skinny jeans and get ready for baggy hoodies and floaty pants. Why Did Oversized Clothing Make a Comeback? It seems every trend likes to hit the catwalk every few decades, and this is no exception. Oversized clothing, especially shoulder pads were a big hit in the 1980s and it seemed the bigger the better. This sort of clothing came just as hitting the gym and becoming muscular began as a movement and these clothes were meant to follow this, making you look strong and powerful. Whether oversized fashion is back on trend due to the gym once again being a big part of the social media world and fashion industry, or whether designers just decided to bring us something we can be a lot more comfortable in, you won’t find a much cozier fashion trend to get behind. 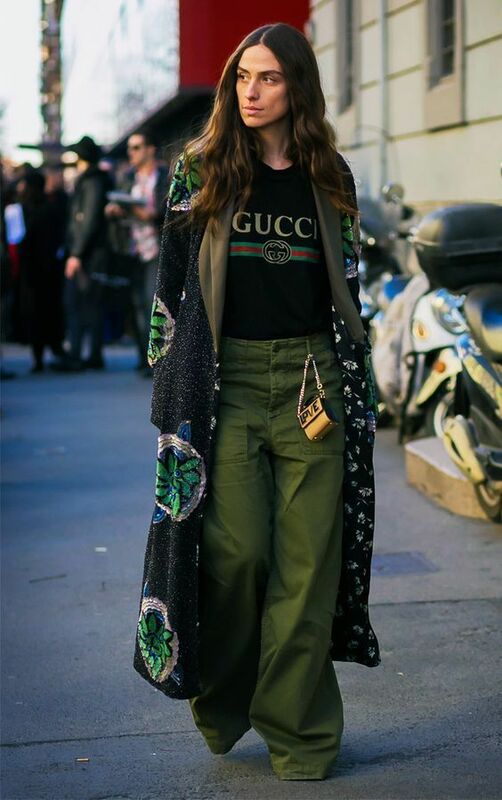 If you want to know how to wear this fashion movement, read on for some tips and find out where you can get your hands on the best clothing out there now. Once upon a time, shoulders on clothes meant the bigger, the better. Now, in the modern-day oversized industry, shoulders seem to be the least of the fashion designers’ worries and have taken a back seat. If you’re brave enough to give this trend a go, there are many ways to do so. Make a statement at work in a tailored suit with shoulder pads, making your work clothes that much more stylish and on trend. You can even add shoulders to the suits you own for a fraction of the cost; simply purchase the pads and find someone who knows a bit about sewing and you have your very own tailormade suit in minutes. This works great for both men and women and you can choose how big you want the shoulders depending on your body shape and frame to ensure that this look works for you. Male or female, there is nothing more comfortable and stylish at the moment than long and loose t-shirts and hoodies. This also gives way to longer coats, which are another great way to be bang on with this trend. SSENSE currently stock some of the very best pieces by Balenciaga, one of this century’s most legendary designers, and when you see their innovative designs and oversized cuts, you will see why. Why not choose a Balenciaga T-Shirt to style with some jeans and ankle boots or a Balenciaga Hoodie that would look great paired with a pair of pants and fashion sneakers? If you need some inspiration, check out what the models are wearing before you buy.